Most people’s theory’s when it comes to many things in life is that if it ain't broke, don’t fix it. This is especially true with men and grooming products - once they find something that they are comfortable with, they're content and continue to use the same product many times over and not look for alternatives. Never mind that advancement in technology means newer, better products are always being put to the market, most of them just aren't interested or curious enough for the change. Case in point is Big DD, the family patriarch.. For the past decade (has it been that long already?) I’ve always known him to use his Gillette Mach 3 razor. Sure he’ll replace the blades every month once they become blunt but he was never curious enough to try anything else different. This all changed 3 weeks ago when I handed over to him the newest razor technology from Gilette. A culmination of years of research and testing on over 30,000 men, the latest in Razor technology is the Gilette ProGlide. One the best innovation products of the year, 2.5 million razors were sold in the first 10 weeks of its release in America! Contains 5 re-engineered low cutting blades that are super thin to give the closest shave, helps to glide effortlessly across the face without drag or pull. Blade stabiliser that flexes to adjust to the contours and plane of the face yet still maintain even spacing between blades. Available in a manual or battery boosted Power version which vibrates to allow the microcomb strip to guide stubble to the blades. Has a gel lubrastrip to lubricates the blade to ensure smooth and even shaving as the razor glides past, giving the most comfortable shave ever, a rubber snowplough channels to guide excess shaving product. Big DD tried out the Power razor and he agreed, it’s time to retire his Mach 3. He was so impressed that the latest razor not only gives him the closest, smoothest shave ever, but it’s comfortable to hold being ergonomically design, is lightweight and really doesn’t tug, drag or pull when gliding across the face. In fact he even commented that the power vibration makes the shave even more enjoyable and couldn’t nick himself even if he tried to. 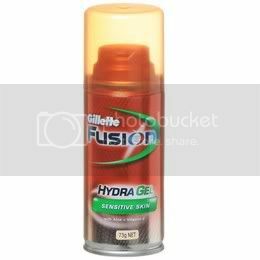 With the Latest fusion Proglide release are some complementing Gillette Series skinare products - the Thermal Facel Scrub, Hydra Shave Gel and Intense Cooling Balm. Goes on skin with a warming feel which is welcoming on these cold winter mornings. It contains fine particles to gentle scrub away oil, dirt and dead skin cells. 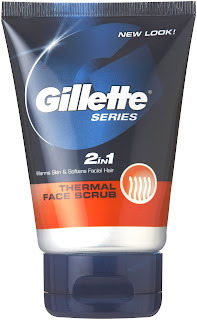 Big DD comments that this was very pleasant to use and the same refreshing scent isn’t over-powering and left his face feeling smooth and soft. Contains Aloe Vera and vitamin-E to lubricate and prep skin and help give a smooth gliding surface for the razor to glide over whilst reducing the experience of razor burns or irritations. Big DD likes how this blue gel lathers up so wells upon rubbing into skin and helps give friction-less shave whilst moisturising his skin and left his skin feeling very soft. He like the light refreshing scent which adds to the enjoyable experience. Instant cooling and hydrating to calm down any irritations from just-shaved skin to help you continue the comfortable shave experience. It then continues to provide hydration through the day to sooth and keep the skin soft and moisturised. 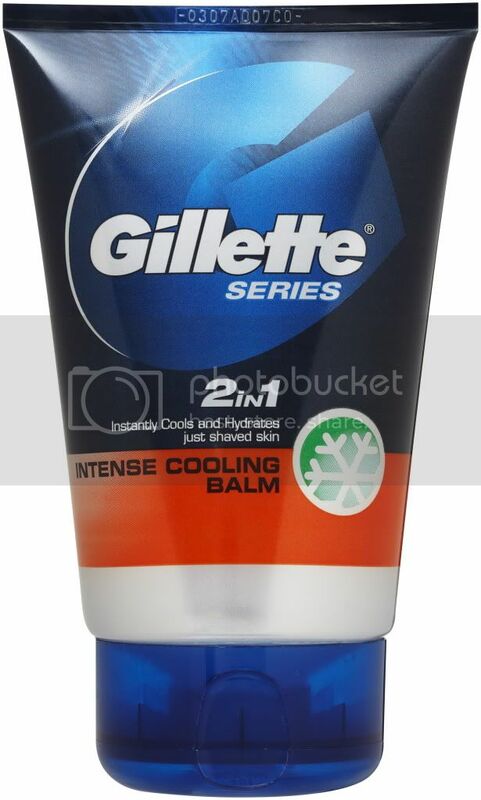 Big DD likes to finish off his shave with this lightly scented gel lotion as he says “it’s light, cooling and refreshing and just helps soothes my skin”. 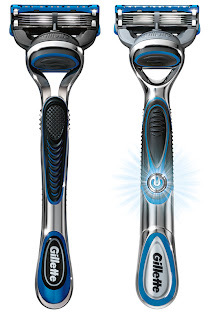 With the latest Gillette Fusion Proglide, I think Big DD is convinced to move on with technology and upgrade to this latest razor that doesn't nick skin and with the Gillette Series skin care, gives the most pleasant, smoothest and comfortable shave ever. Gilette Fusion Proglide and skincare products are available now at supermarkets and selected pharmacies. These products were sent for consideration and the review was brought to you by Big DD.